What is the importance of eggs in a meatloaf recipe? 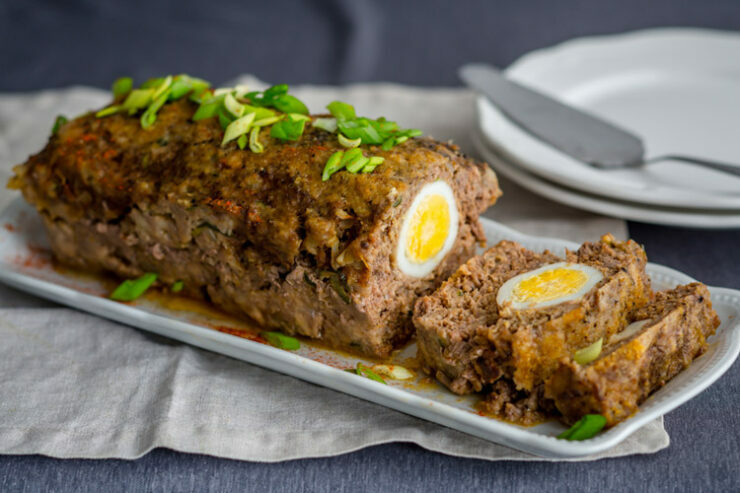 Before saying goodbye to eggs, let us remember it one more time for the sake of our meatloaf. 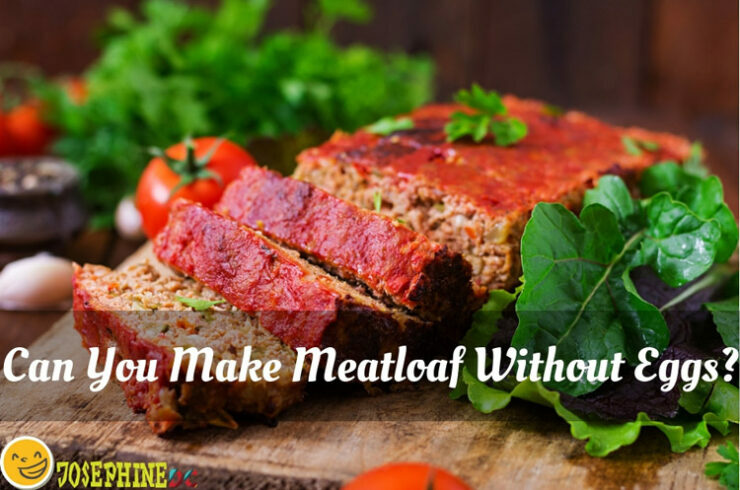 Meatloaf is full-pack meat and is already high in protein. So, why do you need an egg in making meatloaf? Eggs act as a binder that holds up the shape of the meatloaf. With it, you can form the meatloaf easy and quick. When cooking, the eggs help firm up the meatloaf and prevent it from crumbling. Eggs provide moisture to the meatloaf, creating a perfect texture, and making it juicy and delicious taste. Still, can you make meatloaf without eggs? You may wonder why some situations insist on not using eggs when making meatloaf. Let me point out to you first probable instances why I choose to omit the eggs. Not everyone like eggs. You may be a shock to you, but just accept it that there are people who don’t prefer eggs. It may be the food texture or taste, but the reality is, for them, it’s a NO for eggs. Health Hazard: It’s very unfortunate that some likes to eat eggs but just can’t. Certain health conditions such as allergy prohibit one to consume eggs. People with diabetes and heart diseases are discouraged from eating eggs because of its high cholesterol content. Read more : Can You Freeze Chicken Salad? Yes, you can! You can still eat the same delicious meatloaf even without the use of eggs. Does it taste the same? Well, how about trying to make one for yourself. I will teach you how to make a meatloaf using an egg alternative. You will find out how creative cooking can be that even with an alternate ingredient, food still cooks as tasty as it can be. First, let me give you the best egg substitutes for meatloaf recipes. You may choose one and try it out the next time you make meatloaf. Breadcrumbs are common binders for many recipes. It also works well in thickening a sauce or makes a crunchy coating. 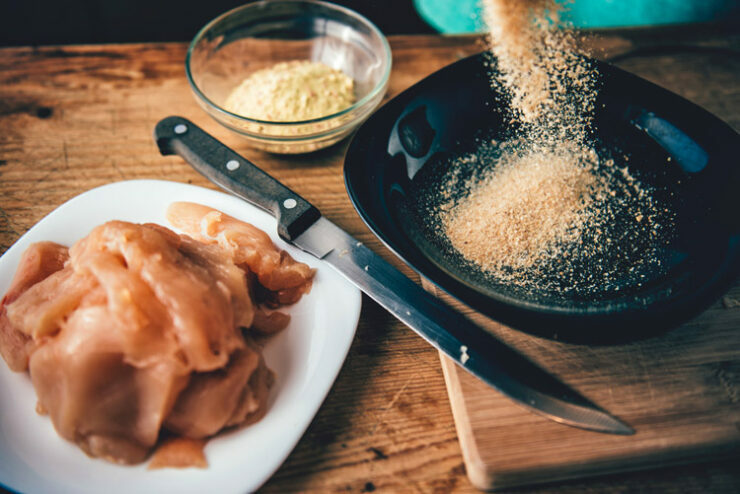 Replacing eggs with breadcrumbs not only binds the meat for a perfect form, but it also creates a crunchy taste in every bite. If you don’t have breadcrumbs, you can grab your oats or crushed crackers, and it will serve the same purpose too. Some are more resourceful by using bread soaked with milk. However, do not forget to season while cooking for additional flavor. Mayonnaise is great as egg replacement if you want a creamy and juicy kind of meatloaf. Also an excellent binding agent, it enhances the taste of the recipe. Just remember that the ratio is 1 cup of mayonnaise to 3 pounds of meat. 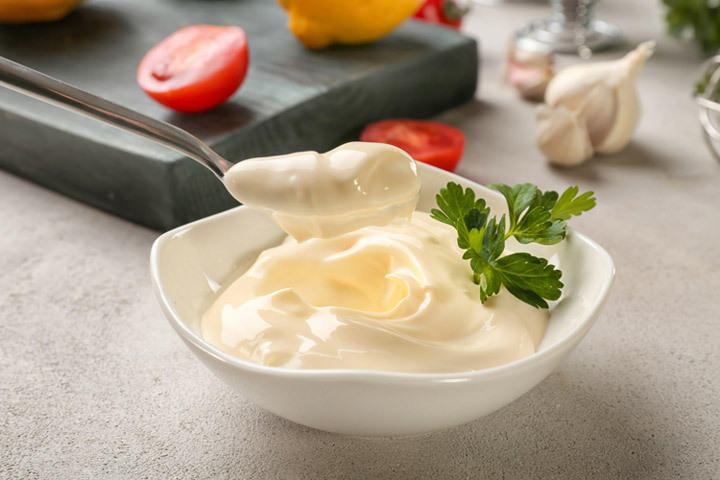 However, you take note that mayonnaise has a high level of calories. Therefore, for weight watchers and health conscious, I suggest a moderate intake. 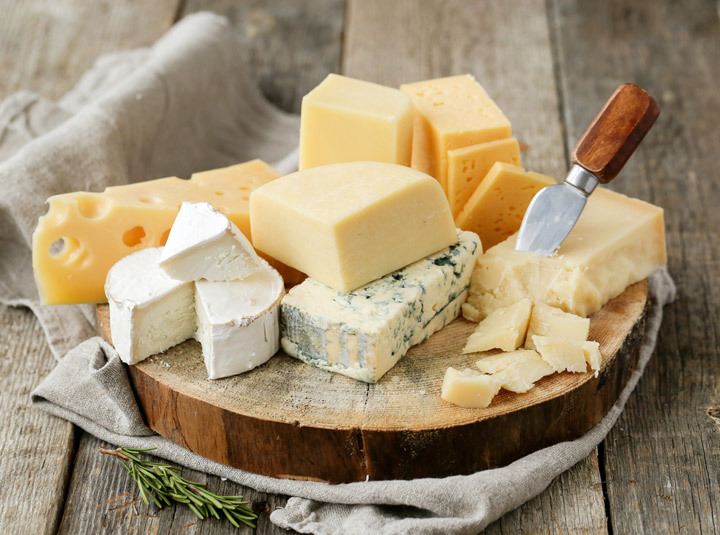 Do you know that cheese is the best substitute for eggs? Imagine the taste of a cheesy meatloaf that melts in your mouth. How tasty can it be? I recommend using cheese that easily melts like Parmesan and Mozzarella. Although we are looking for egg alternatives, I added egg whites just the same. After all, it is not a complete egg. Just in case, you have some egg whites sitting in your fridge. Do you have some leftover egg whites after making your leche flan? It will not go to waste! You can make use of it as a binder when making your meatloaf. This is also a good choice for people who like to cut on cholesterol. Getting rid of the egg yolks and use only the egg whites instead is very possible. Just take note that for every egg yolk, you need two egg whites as a replacement. 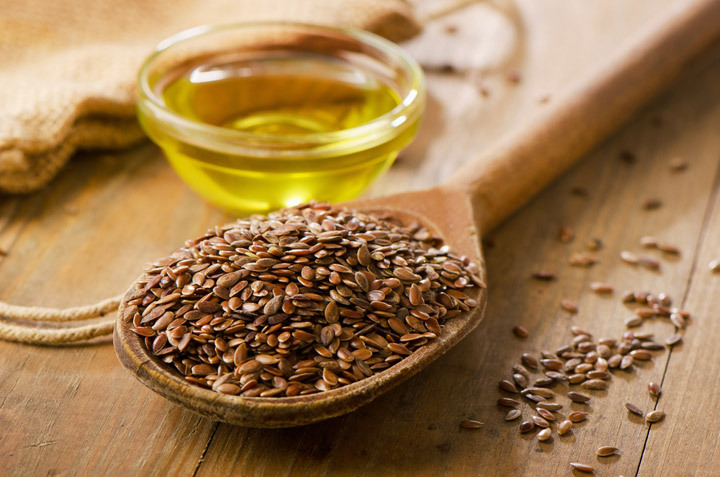 Flaxseed is famous as one of the superfoods. Do you know that it is a great alternative for eggs? Besides being a superb binder, like eggs, it is also rich in protein and fat. Simply mix a teaspoon of flaxseeds into ¼ cup of water, and it’s ready to be added to your meatloaf mixture. Remember, this mixture is equal to one egg. Olive oil is another healthy alternative off eggs when cooking meatloaf. If you don’t have olive oil, any oil will do to serve the purpose. Do you have soft tofu in your kitchen? Tofu is a great alternative to eggs. Hence, for all that is allergic to eggs, this is good news. One egg is equivalent to 1/4 cup puree of soft tofu. Know that tofu does not produce a fluffy texture like eggs but it’s the nearest one can get for an egg substitute. 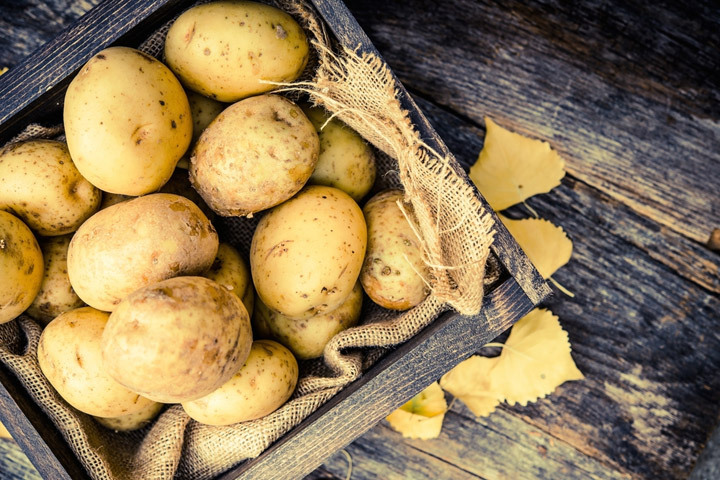 Grated potatoes are one option for an egg alternative for a meatloaf recipe. Mashed potatoes or other pureed vegetables like carrots are applicable too. I usually grate the potatoes and mix a little bit of ice water in it. Then, I let it sit for an hour in the fridge before baking. When it’s done, it’s ready to use for the meatloaf. If you are fond of gelatin, I am sure you have a pack of it in your pantry. Make sure to pick the unflavored one if you’re going to use it to replace the egg in your meatloaf recipe. Gelatin is a great binder, and it doesn’t change the taste of your dish at all. One egg is equivalent to a mixture of one packet of gelatin combined with two tablespoons of warm water. Remember that gelatin sets up quickly, so you need to do the mixing as quickly as possible. Egg replacers are a combination of potato starch, tapioca flour, and other ingredients that are suitable for recipes that use eggs (yolks specifically.) Although I only use this when I am desperate, this is a possible alternative for your eggs. When you ever decide to use it, I recommend that you read the package instructions first. Whenever I need to thicken my sauce or firm up a mixture of ground meat, I use a little bit of cornstarch to do the binding. It doesn’t change the taste as long as you put just enough amount to do the job. I mix the starch with a bit of liquid first before I blend into the mixture. Meatloaf is a delicious recipe that you can make in different ways. It doesn’t matter which method you are fond of, it always ends up tasty and comforting. Some families consider meatloaf as part of their traditional celebrations. Can you make meatloaf without eggs? Yes, you can! Just choose any of those alternatives and cook the meatloaf as planned. You’ll never panic when you run out of eggs. Sometimes, a little imagination creates a completely new recipe and taste. Do you have more idea on other alternatives? Give me a message, it’s never too late to add it on my list! Then share the below image on your favorite social media website.